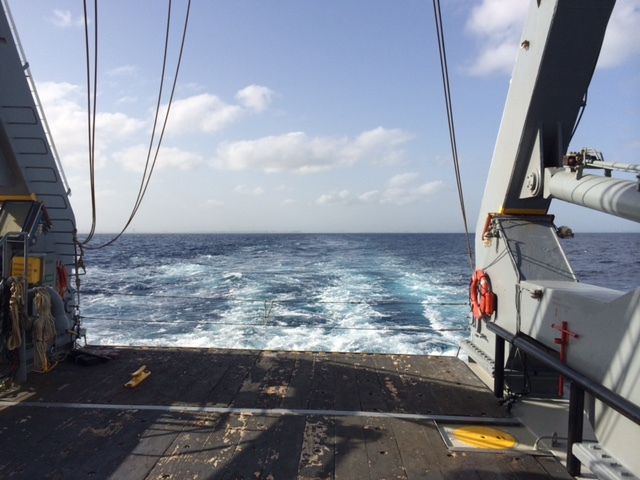 In October 2014, Ian, Kalia, Elliot and Jason participated on a research cruise from San Juan to Bermuda on board the R/V Atlantic Explorer (BVAL-98). 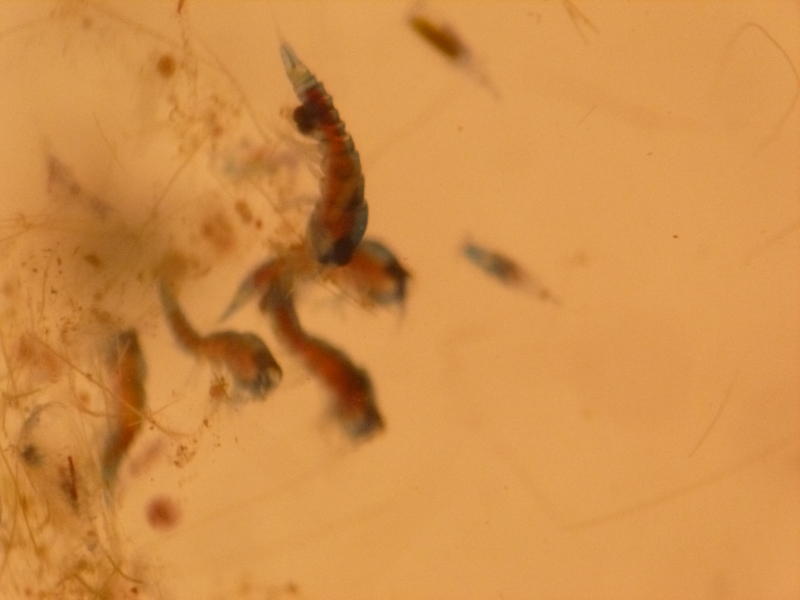 The purpose of this cruise was multifold: 1) collect dominant hyperiid amphipods along the cruise track; 2) collect sympatric copepod taxa for viral discovery and prevalence; and 3) perform viral decay experiments to understand longevity of amphipod and copepod viruses in ambient seawater. 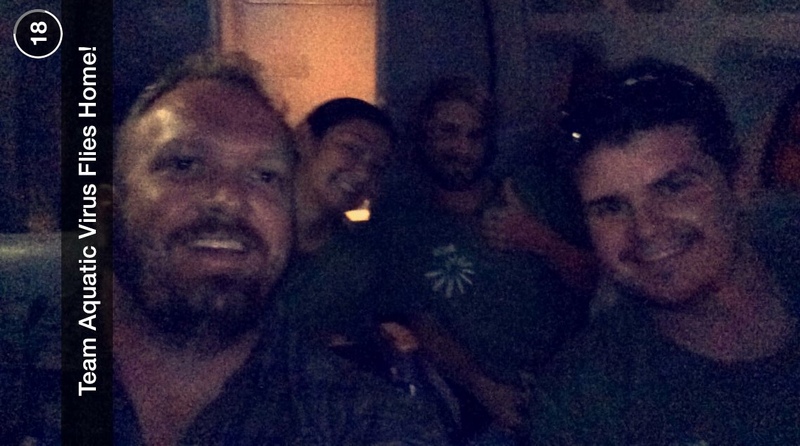 The adventure began when the team arrived in San Juan, Puerto Rico, on 4 October 2014 via various routes – Ian was delayed thanks to US Airways until after midnight! The cruise eventually set off on 5 October at around 10 am. 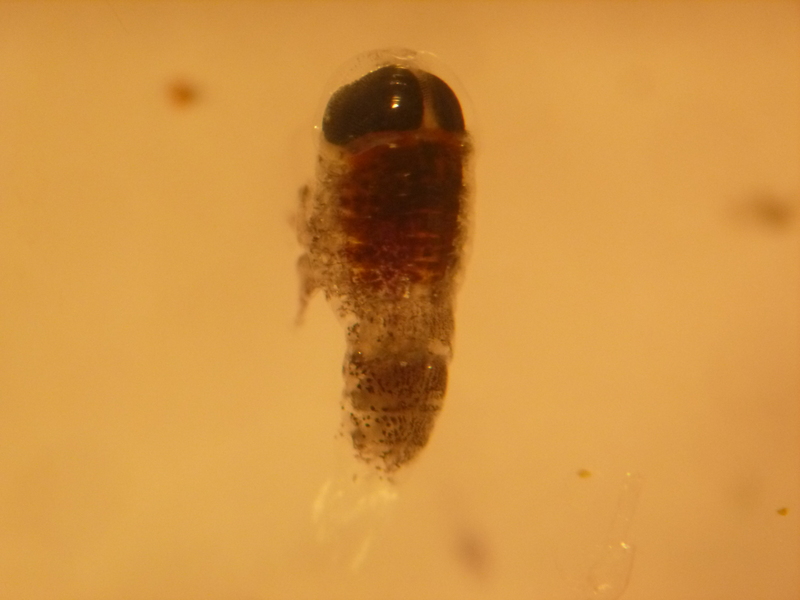 Sampling occurred daily at each of the BATS Validation stations (roughly every degree of latitude between San Juan and Bermuda) and comprised: 1) a 30 minute zooplankton tow to collect hyperiids and copepods (and any other interesting mesozooplankton which we encountered! ); 2) filtering seawater collected via the flow-through system for free viral abundance; and 3) collecting water for decay experiments, which occurred every 3 – 4 stations along the track. 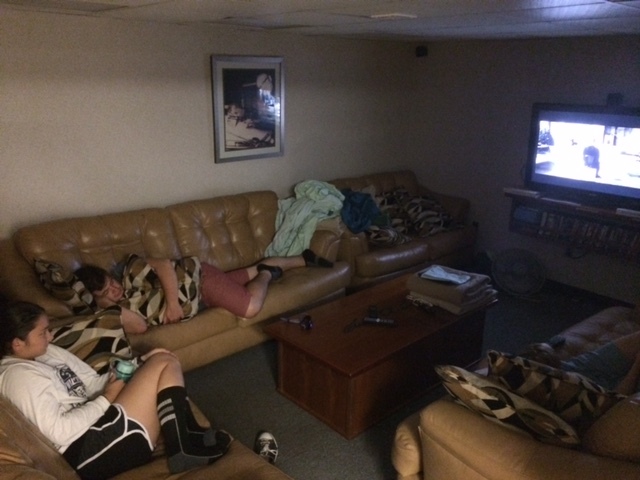 Cruising is hard work! The crew having a break in the lounge. 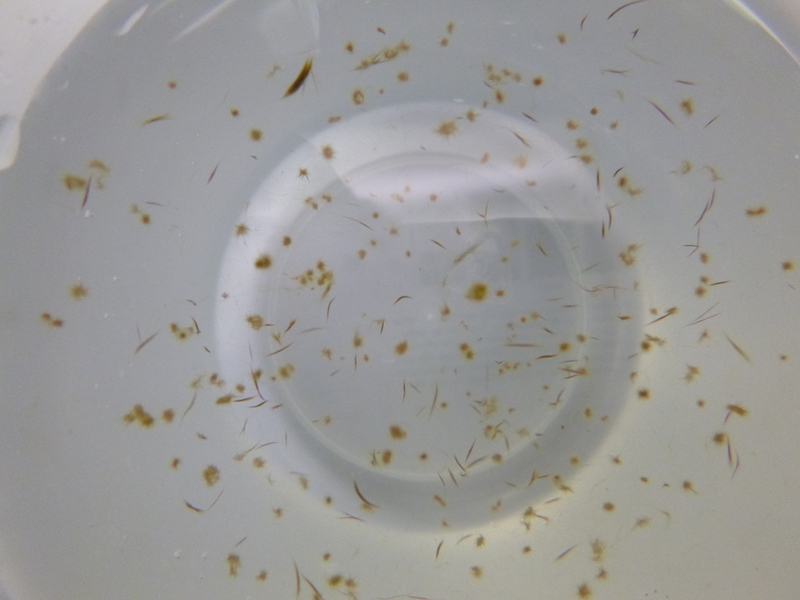 During the cruise we collected a total of 562 individual animals, including a myriad of interesting hyperiid amphipods, copepods, larval fish (for use in a projected study of the future), along with 80 virioplankton samples, and 4 decay experiments. 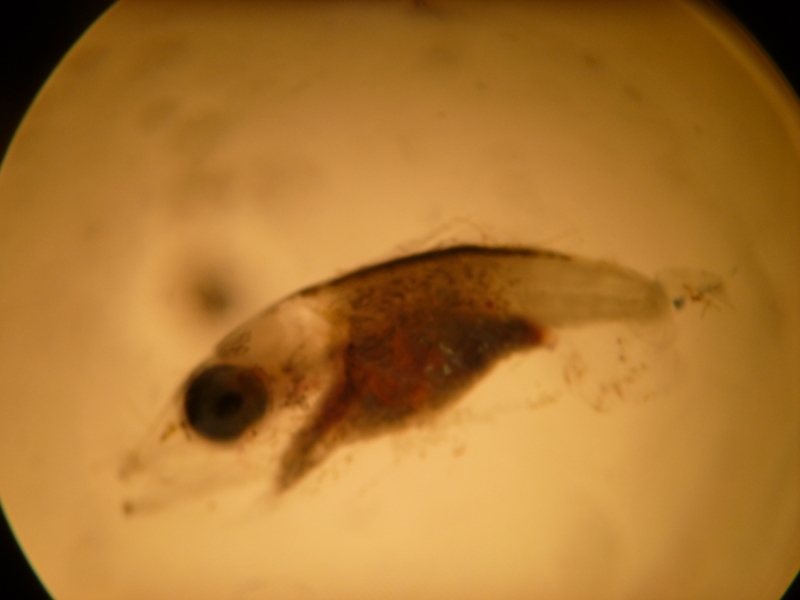 Check out this cool video of a plankton tow… from a plankton tow perspective! 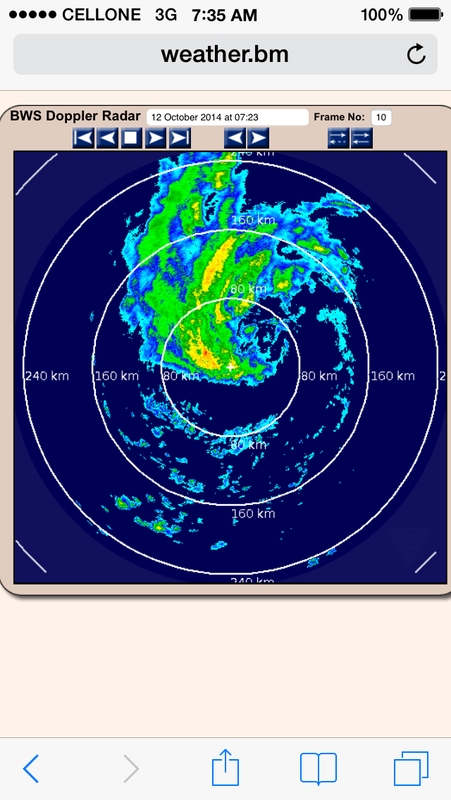 Doppler radar of hurricane – Bermuda is right in the middle of the bullseye! Our flights canceled the following afternoon, the team decided to check out Bermuda itself, which boasts pretty amazing history! After a day of sightseeing imposed by the hurricane we eventually found passage on Air Canada home. After a brief moment of concern caused by one of the team’s passport being eaten prior to the cruise by a dog (! ), we finally made it onto our flight from Toronto to Syracuse, which was the smallest plane most of the team had ever been on. Click here to view a video summarizing our work.